We’re off to the Lighthouse in Brighton this Saturday (3 October) to work with budding architects in a town with one of the most famous Pavilions in the world. 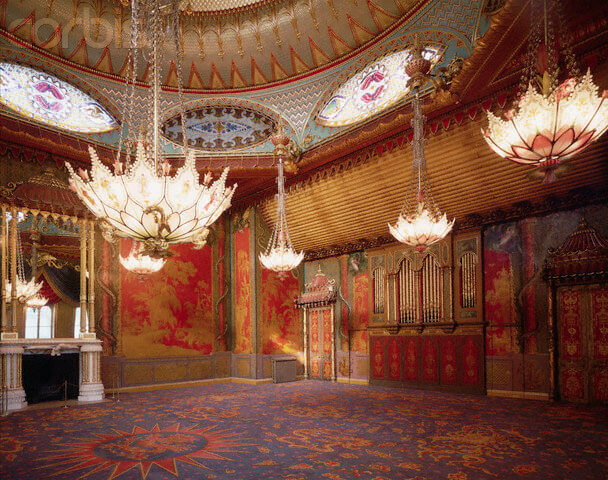 The Royal Pavilion was dreamt up by the extravagant King George IV. George was known for throwing huge parties and state dinners and the building’s splendor dramatically reflects this princes’ florid personality. Taking the domes of the Taj Mahal in India and marrying them with spectacular Chinese interiors, the Royal Pavilion is a Western homage to Eastern design. George never visited either country but he admired the exotic and fantastical nature of what he perceived as ‘the mystical orient’. His outlandish commissions to architects Henry Holland (in 1780) and John Nash (in 1815) meant the building is now one of the most lavish in the country. After a period as a royal family residence, the Pavilion was bought by the public in 1850. 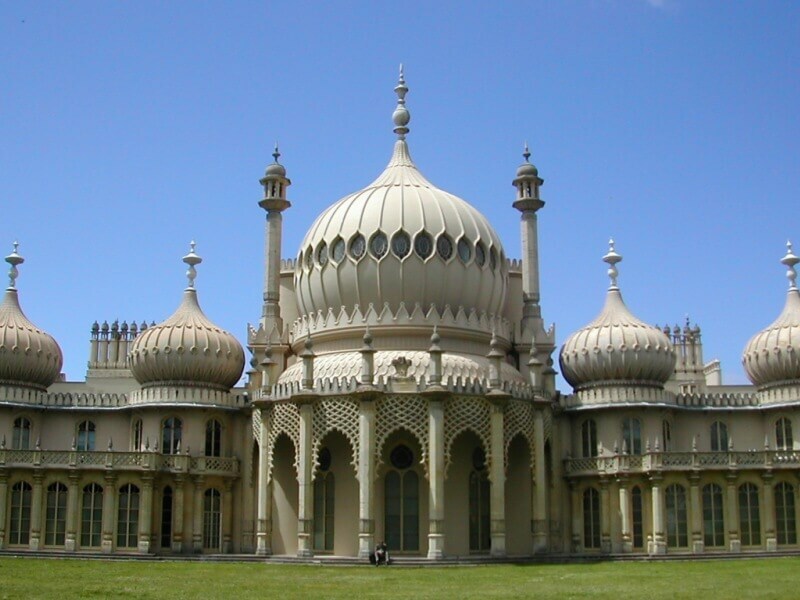 The people of Brighton used it for a wide variety of events from assemblies and balls, a tea room and bazar, baby contests, flower shows and even a flea circus. Today it is a museum. As well as the labyrinth of stunning public rooms the Pavilion has a wealth of hidden areas and passages. The gardens are rumoured to have a number of buried tunnels and walkways running beneath the well trimmed lawns and hedges. In fact there is only one tunnel, which leads from the Pavilion to George’s stables. He had this built at a time when he was very unpopular and wanted to be able to move around his estate unseen. 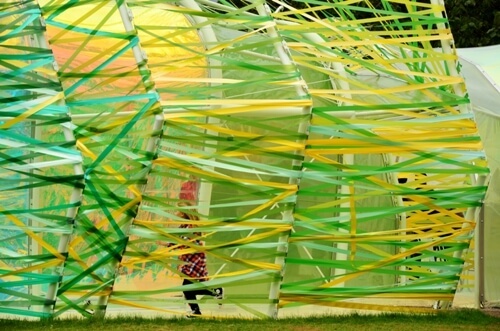 At the Serpentine our own multi-coloured Pavilion has passages and walkways too, but architects selgascano want to encourage the public to play within these spaces. Inspired by the way people move through the London tube they want us to explore different ways of walking through the Pavilion. As people move past in these pathways, you catch glimpses of them through the ribbons and coloured acetate, evoking the sense they are caught in a magic mirror world that surrounds you. Thinking about how people will move around your Pavilion is an important part of designing a successful structure. Will your walkways be out in the open or secreted away?